Initially, several things stand out to me here. First was my pre-conceived notion that just focusing on defense will never win you anything. That’s not how you win in sports for instance. But this isn’t a game. Sun Tzu isn’t talking about winning and losing but the contrast between invincibility and victory. 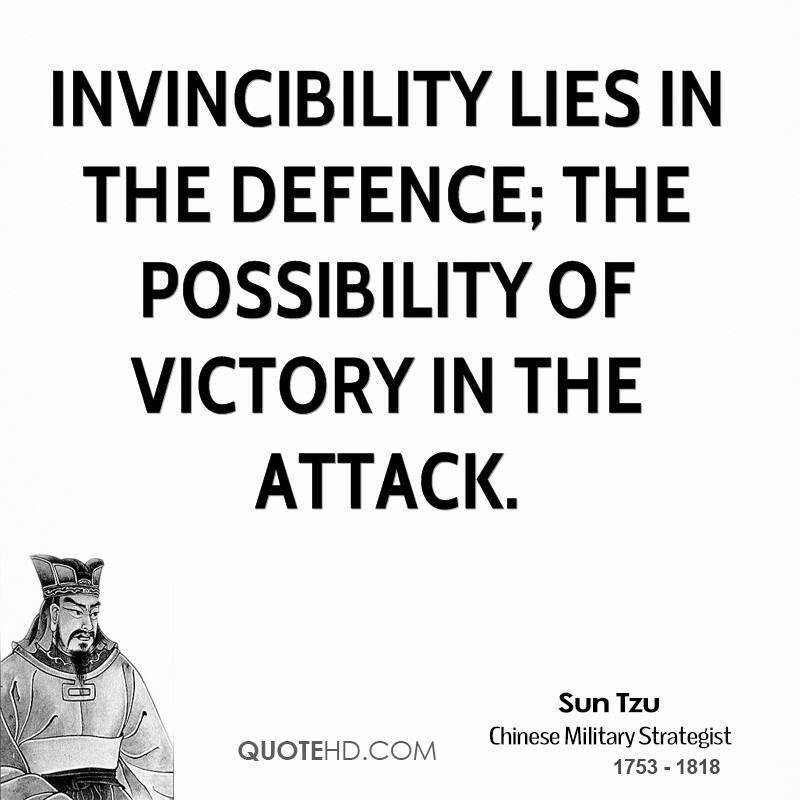 The word invincibility also stands out to me because I never hear such terms of finality when talking about military strategy because so often things go wrong and you can pretty much never count on something always working -yet that is exactly what Sun Tzu is saying. The next word that stood out to me was POSSIBILITY. It is not so certain. It means that in attacking, there is risk. In defense, there is certainty. I think that the act of attack puts you in a vulnerable place, exposes you, and extends your forces leaving you less concentrated. I see it happen a lot when I teach my students in kickboxing. You can only win if you put in that good strike, but you have to do it so fast and avoid an attack from your opponent at the same time. So when you attack you lower your guards and you are vunuable. 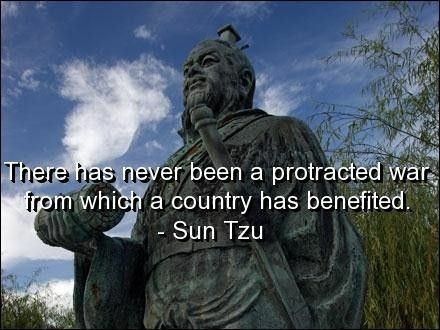 It is quite interesting that Sun Tzu, this great conqueror of Asia lists the certainty of defense and the risks of attack yet is a chief aggressor by his own nature.